You can return to our desert plants page or browse the pictures using the next and previous links. From the Andes, in Bolivia and Argentina. 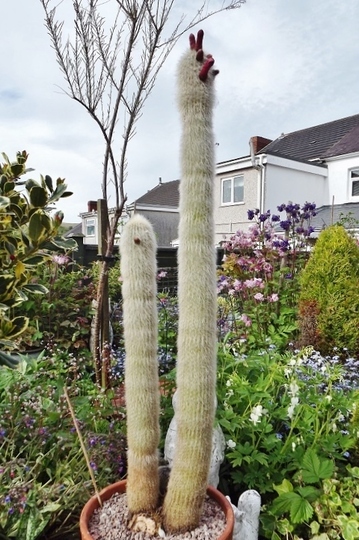 Looks very tall Hywel, you must have had it years, how do you overwinter it?, Derek. Wow! I don't want to sound offensive, Hywel, but it does remind me a bit of something from "Embarrassing Bodies"! Extraordinary.